Well this was up there in the "Best ever..." category! A truly memorable gig. 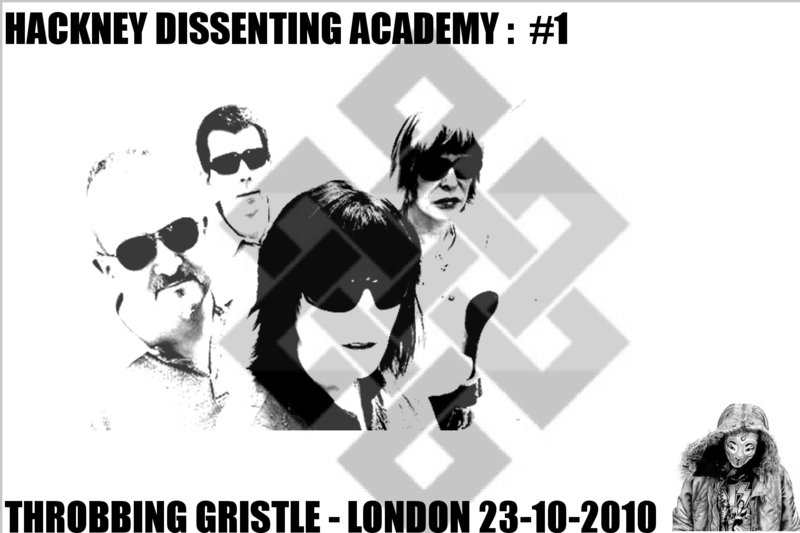 Throbbing Gristle kicked off their European mini-tour with this gig at the Village Underground in downtown Hackney which just happens to be TG's old stomping ground and the very birthplace of Industrial Music. As you can see from the vid it was impossible to hold the camera still due to the pulsing bass etc and even more unfortunately my battery ran out, but I wasn't expecting a nearly 2 hour gig! Including a rare encore (despite some of TG's jet-lag, and broken fingers!). I did take a little vid on my mobile of the encore Discipline the quality is really crap but I managed to catch the moment an excited fan decided to storm the stage, disrobe and stage-dive into the crowd!! !